I love YAPC::Asia which is really exciting Perl conference. At YAPC::Asia 2008 Tokyo of this week, I got first chance to give a talk in the conference. My talk was titled DOM manipulation by Wiimote/Gainer over HTTP. Some slides are updated from OSDC.TW 2008's one. I'll give this talk again for YAPC::NA 2008 in Chicago next month. The room was almost full and had some standees at last! Thank you for coming to listen my talk. 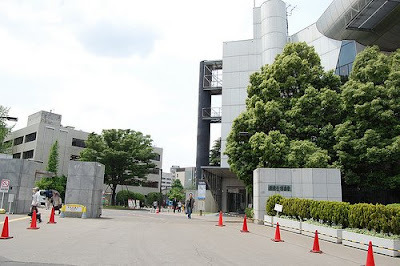 The venue of the conference was Tokyo Institute of Technology at Ookayama, Tokyo. It had many trees in the campus and was really nice venue. The number of attendees was counted as more than 500 people. 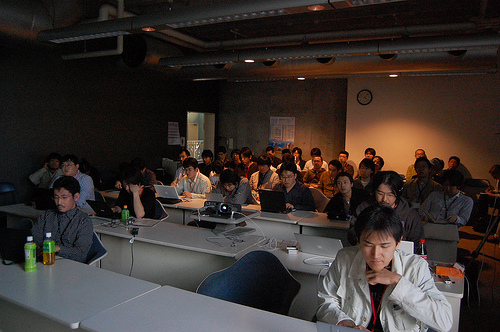 The committee announced that the conference cost about three million yen (about USD 30,000) in total. I'd love to say thank you for organizers and volunteers. As an aside, RECRUIT Co., Ltd. was one of the gold sponsors of the conference. It was honor of us. The Media Technology Labs have a plan to back up such open source related conference and projects. * Translated version of the original post of this is here.